Disabled refugees and migrants are not identified, and receive neither the medical assistance they require nor access to essential facilities like toilets, showers, and food, according to the latest report by Human Rights Watch (HRW). The report was based on 40 interviews with refugees, asylum-seekers, and migrants, and uncovered quite a few issues of concern over the way disabled refugees are treated. “People with disabilities are being overlooked in getting basic services, even though they are among the refugees and migrants most at risk. 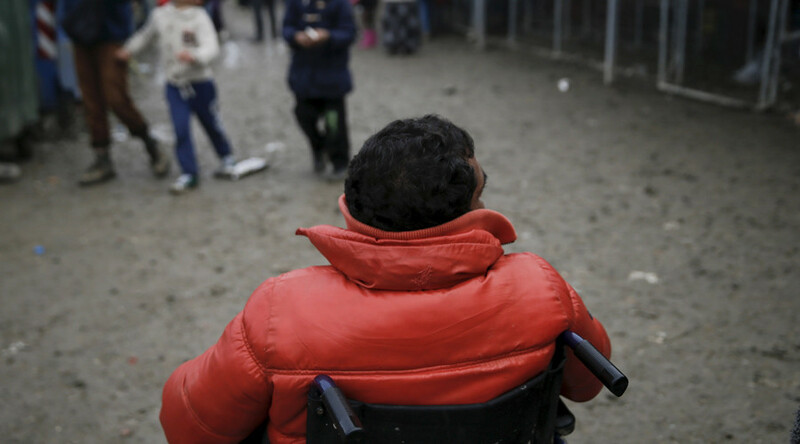 Greek authorities, the EU, the UN, and aid organizations should make sure that people with disabilities are no longer an afterthought,” Shantha Rau Barriga, HRW’s disability rights director, said, as cited in the report. More than 62,000 people live in official and makeshift camps in Greece, and HRW called the overall living conditions there “deplorable and volatile.” As of January 12, 2017, just over 7,400 were moved in accordance with the EU relocation mechanism. And it is only 12 percent of the 66,400 places agreed on two years ago. Many outdoor taps and showers were not accessible for wheelchair users, lacking the essential ramps. For example, an 85-year-old wheelchair-bound Syrian woman told the organization that she had not showered in a month due to the fact that she simply could not get to the facilities. Toilets without ramps are an issue, too, with HRW reporting that only two out of 15 camps have ramps. Another issue is the uneven, rocky ground in the camps, making it impossible for wheelchair users to move. “We have this wheelchair [for my 75-year-old father] but we cannot use it because of the terrain,” a woman from Afghanistan in the Moria camp said, as cited in the report. Refugees also lack crucial supplies for their health after they arrive. 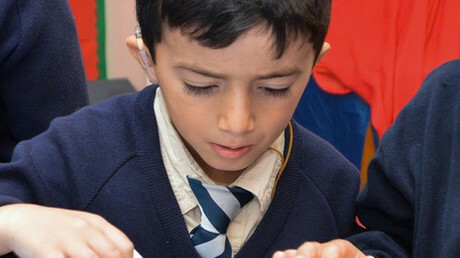 For instance, a 24-year-old deaf Syrian man, who came to Greece in February, lost his hearing aids at sea and was not given new ones until October. Also, some problems might go unnoticed, as is often the case when refugees have mental health issues. “There is a lack of resources, time, and expertise dedicated to the identification of vulnerable people. If you don't say it yourself, no one will ask you. If it is a disability that is not obvious, visible, even if a refugee reports it, it won’t be registered,” a doctor from Doctors Without Borders said. Since 2015, the European Commission has given around €125 million ($133 million) to the Greek government and nearly €370 million to aid agencies and international organizations to assist refugees, including the UNHCR. Both have since come under fire for failing to adequately distribute the funds to improve conditions for migrants. The UN refugee agency echoed his words, saying, “UNHCR agrees that most of the government-run sites do not meet the standards for accommodating people with specific needs.